"A dystopian pixel art RPG game"
Tales from the Neon Sea (demo) is a futuristic game set in a world where humans and robot beings depend upon each other to survive however there are growing tensions between the communities and you are thrust straight in to an interesting adventure. You play as a hard drinking retired police detective (is there any other type?) who is assisted by his antiquated robot helper as you set off your adventure and make your way in the city that is brightly lit by neon lights (hence the title) and although you are retired you are soon caught up in a missing person's case that needs to be solved. 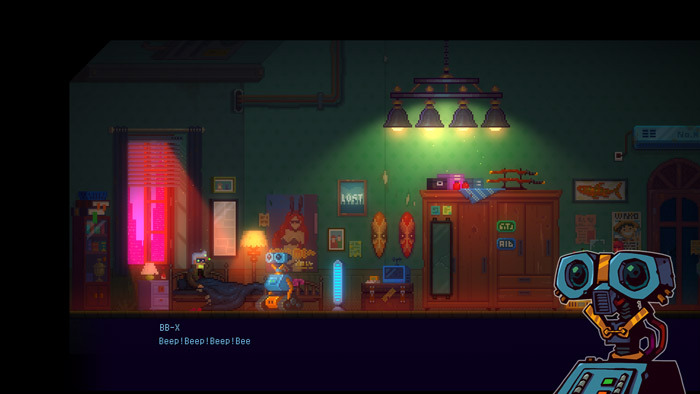 Although an early demo and there is a notification in top corner of the game that this does not represent the final quality of Tales from the Neon Sea, but the pixel art is very enjoyable and this a nicely and intriguingly written game that shows great promise for the final build. 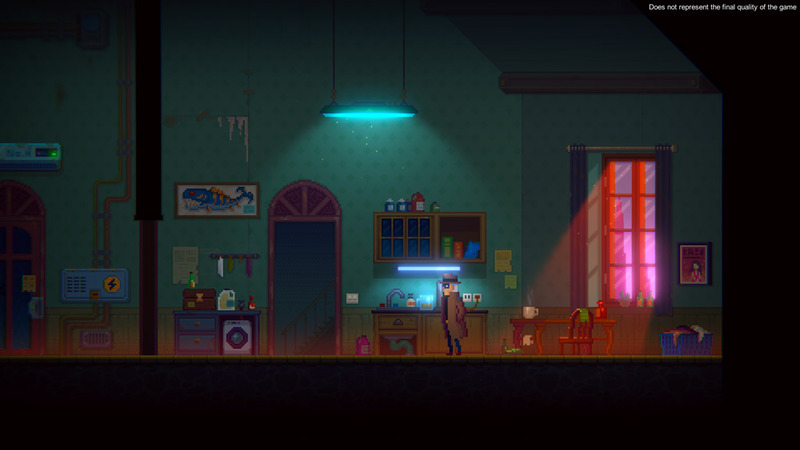 The neon city looks great and the dialogue is well written, however at times the storyline can feel a little tedious and perhaps not particularly original but with this fantastic backdrop you can forgive that this is another story about a hard drinking former detective. 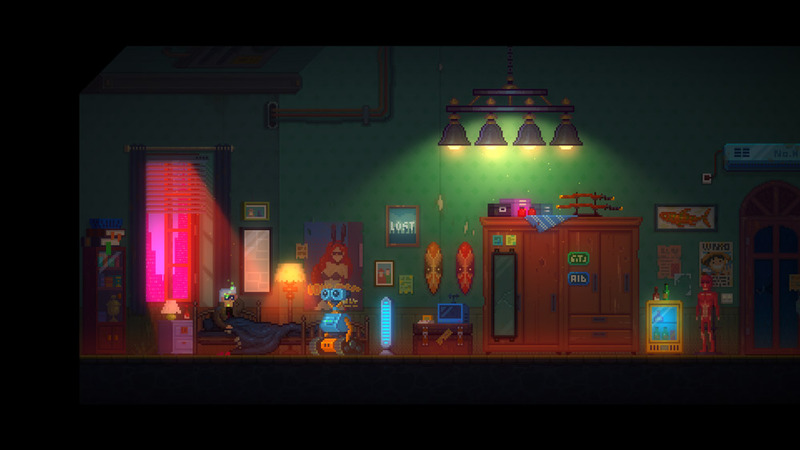 A very promising pixel art game, you can download Tales from the Neon Sea demo here for free.